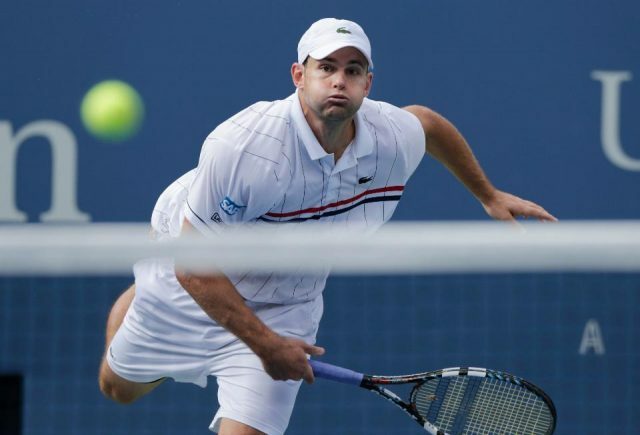 Former world number ones Kim Clijsters and Andy Roddick are among the latest round of inductees into the International Tennis Hall of Fame. They will be joined by other figures including four-time wheelchair tennis Paralympic medalist Monique Kalkman-van den Bosch. Clijsters, the Belgian star who was one of six women in tennis history to simultaneously top the world rankings in singles and doubles, is a six-time Grand Slam champion who spent a total of 19 weeks at the top of the world rankings. Roddick, the last American to top the men’s singles rankings when he did so in 2003, claimed the US Open title that year amid 32 tour singles title. The Netherlands’ Kalkman-van den Bosch, who was diagnosed with cancer aged 14, spent a mammoth 126 weeks at the top of the wheelchair singles rankings and was a four-time world champion. She was also a Paralympic gold medalist in table tennis in 1984 before claiming four in tennis in 1992 and 1996 to become the first and only female athlete to win Paralympic Gold medals in two different individual sports. Historian and journalist Steve Flink and instructor Vic Braden were also added in the “contributor” category. The quintet, who will be officially inducted in July, were all recognized during a special ceremony at the Australian Open. Clijsters was unable to attend because she has recently given birth to a third child. Braden was inducted posthumously after passing away in 2014 at the age of 85. “It’s a real pleasure to welcome these five remarkable individuals into the Hall of Fame,” said International Tennis Hall of Fame President and 1987 inductee Stan Smith. “Kim, Andy, and Monique compiled outstanding careers, winning the game’s biggest titles and ascending to the world number one ranking. “Steve’s lifelong dedication to chronicling the sport’s happenings and history has engaged and educated fans around the world. “And, of course, we remember Vic Braden, who transformed how tennis is taught and how athletes are developed. Nominations are selected from shortlists submitted by both the general public and the global tennis community. A Nominating Committee then meets to make choices.